We met Amy and Heather at Quilt Market and just fell in love with this great quilt. Start your new year off with an exciting adventure that offers a variety of blocks, techniques and color options. The results will be a stunning quilt top that is sure to push you past your comfort zone while improving your skills. 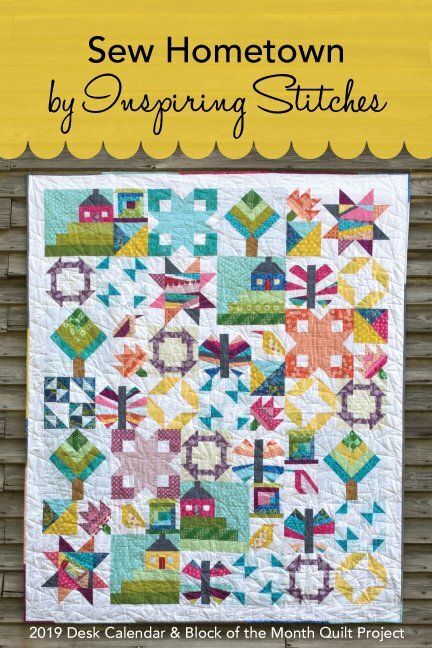 Amy and Heather inspired us with their versions of this quilt and we want to see what you can do! Quilt finishes approximately 68” x 74”. You will need a total of 4 1/2 yards of background fabrics - scrappy or all as one fabric! This is a 12 month commitment. Please understand there are no exceptions, no refunds. Your card will be charged monthly, on the 15th of each month for 12 months starting January 2019 at $9.99/month + tax.